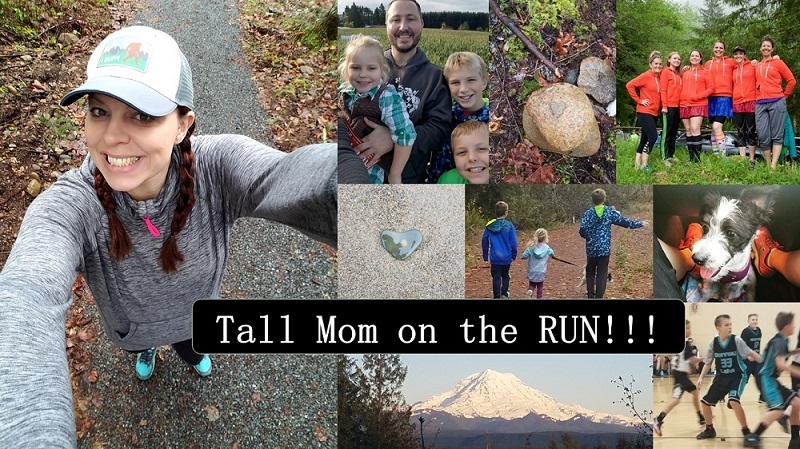 Tall Mom on the RUN: I have the day OFF!! Yes I have the day off.. Which means I will be logging off and not touching the computer today.. This weekend we did a walk run as a family. Muscle Man has a hurt leg and realized quickly he needs to rest more. A nice man on a bike passed and said "OUTSTANDING" very loudly. We assume that it was a compliment to our active family. We all raced to the shadow, LS#1 was in the lead, we passed an older family walking the Dad said "That is a good leader you have there." Wow lovin all the compliments. We made it to 1 mile and turned. Just then Little Stud #2 started to have an ALLERGIC REACTION. Eyes itchy, nose like a faucet, he was uncomfortable!! We have been on this trail countless times so it must be seasonal. I held him for the .75 mile walk back to the car, he calmed down. Poor kid!! We took him to the drop in Clinic yesterday and his regualr Doctor was there, SCORE!! Dr. got us in quickly and confirmed that this time of year we need to give him a little Allergey medecine. Poor buddy! Back to the car, a nice 2 mile walk/jog/sprint. Yesterday I ran 7 miles with Tall Sister to get her ready for See Jane Run Half Marathon...it was GREAT, will tell you more about it later, time for another cup of coffee. Happy 4th! Enjoy the day! hope you had a great day off! Hope you enjoyed the holiday with your family!! Happy (belated) 4th!